I went to Kent today for a work meeting. It is a fairly long drive to Kent from the outskirts of Birmingham, but I coped marvellously on the way thanks to coffee and the near arctic conditions of my colleague’s car due to his supercharged air-con. Fast forward several hours, a productive meeting and a bellyful of Motorway Services noodles to that awful moment when you wake yourself up with a flop of the neck and snorty grunt and realise that 1. You are not at home. 2. You have nodded off in your colleague’s car for five minutes with your face smeared against the window. To compensate for the noodle lunch, I decided I would go all out health for tea with marrowghetti. Yes, that’s correct, I am the idiot that got conned into believing that you can substitute MARROW for SPAGHETTI. 1. 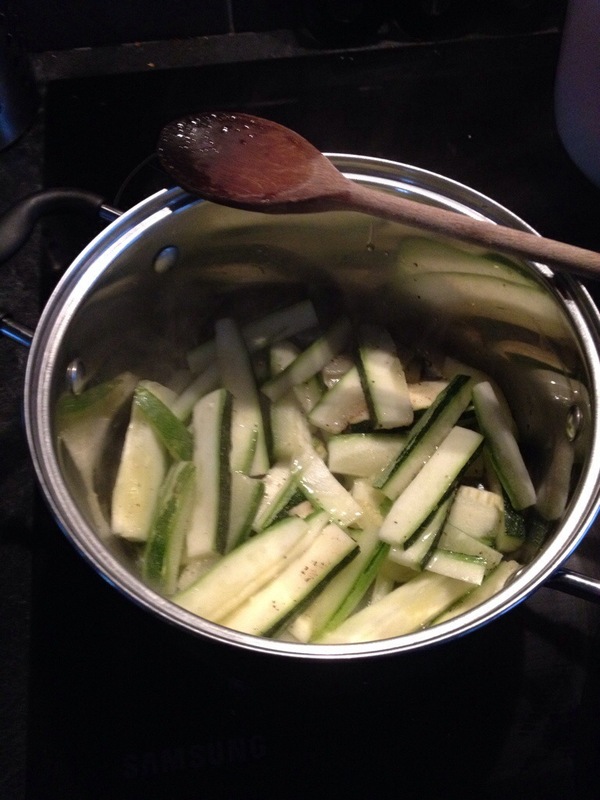 You are required to chop the marrow into linguine style strands. Oh do get a grip. Who in their right mind has the time or patience to chop a marrow into faux spaghetti? Not me my friends, NOT ME. 2. Your fridge is in fact the fridge to defeat all fridges because it can freeze things. Even big things like a marrow. The marrow is the latest in a long line of vegetables that have frozen solid at the bottom of said fridge over the last three days. Here is a frozen lemon (also required for the marrowghetti, because we all know lemon is central ingredient of spaghetti). Frozen lemon?!? The only time a lemon should be frozen is when its middle has been scooped out and replaced with lemon sorbet and it is being offered on a cheap dessert menu somewhere in Spain where one is holidaying. 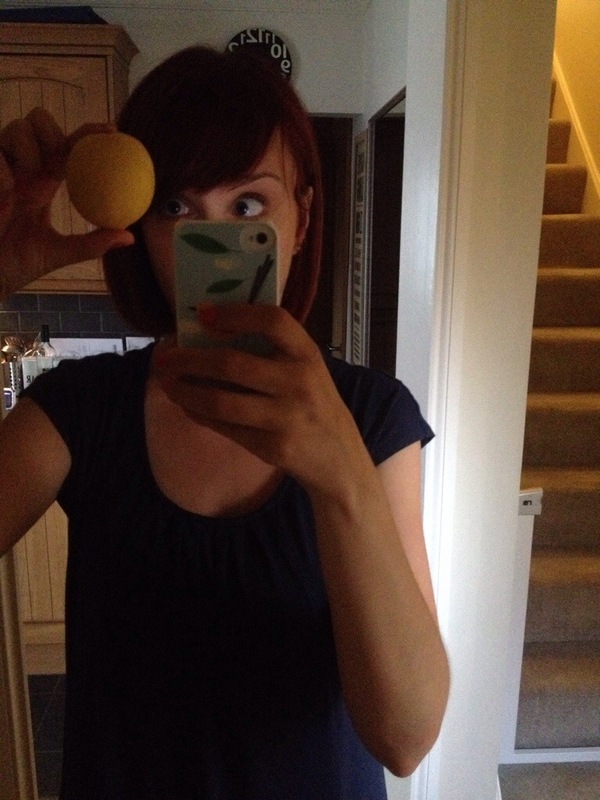 Anyway, the lemon was defrosted rapidly over a pan of boiling water (top tip if ever you needed one eh?). But a frozen marrow, required to be chopped into linguine-style strands? Fail. See below – hacked up marrow. Cannot be passed off as spaghetti. Actually the dish itself, despite looking like a right old dog’s dinner, was rather tasty. I was pleasantly surprised. And to build on that positive, we were lucky enough to make good time on the journey back from Kent, and so I was able to pick Blake up from Nursery. I don’t normally do the pick up, so it was a complete surprise for Blake and a total delight for me that when I arrived he threw down the toys he was playing with, charged across the room and threw himself into my arms exclaiming MUMMY, YOU’RE HERE! I LOVE YOU MUMMY. And for that reason I will take the frozen lemon, the marrowghetti, the embarrassing of oneself in front of one’s colleagues, and say that today has been a good day.